Whether the casual racism was meant to be Mrs Ramsey’s or that of Virginia Woolf herself, we shall probably never know, but I think we’re meant to think her visage unlikely to win any competitions for beauty alone. Or her painting either, as far as Mrs Ramsey was concerned. Yet, of all the characters in the book, hers is the keenest eye. She observes and reads people with great insight, and, apart from the instance over dinner when she buckles to Mrs Ramsey’s pressure to conform to her gender and appease the agitation of the atheist Tansley, with soothing words, despite her own desire to resist and just see what resulted. She manages to avoid becoming embroiled in an unfortunate entanglement with William Bankes, who, after admiring her choice of sensible shoes, looks like he could be a suitable target for Mrs Ramsey and her matchmaking. Later on, it is clear that remaining a spinster has been, for her, the path to freedom. She watches, she paints, she even resists the demands of Mr Ramsey for sympathy. It only struck me as I watched her character unfold, that writers only tend to create older single women as dried-up and unfulfilled, yet Virginia Woolf has given us Lily Briscoe – a single, contented, independent woman. When we discover that the romance between Minta Doyle and Paul Rayley – so lovingly tended and encouraged by Mrs Ramsey – soured within the first few years of marriage into bitter strife, it’s like Woolf has given Lily Briscoe the last laugh, the final triumph. Rather than being ‘left on the shelf’, she has deftly escaped that ill-fated shackling, and is free, free to paint, to think, to be. ← I would talk to me, if I saw me reading either of these books in public. I totally agree – and I love the picture! 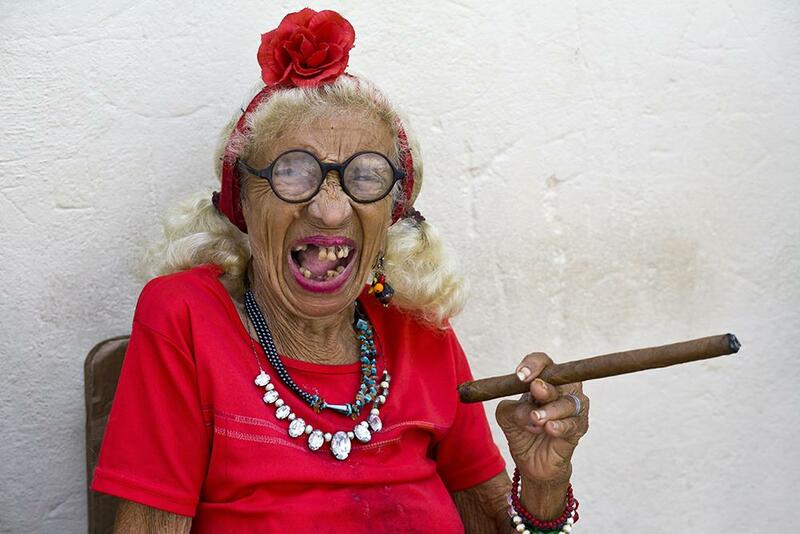 Me too – I fully intend to wear red on a daily basis and take up cigar smoking if I make it into my nineties! There’s a few examples of female writers creating very strong and content spinsters, and sometimes I wonder if they were fulfilling a fantasy of their own. To have a constantly musing mind and be trying to wrangle words and expressions, only to then have a man ask them where the toenail clippers are, I wonder if they then did think Jane Austen was onto something, and if satisfactorily and interestingly employed, amused, and have good friends was more than enough. Although that conclusion is much easier to come to after unpleasant relationships, or in Lily’s case, when there’s really not much to choose from. You may be onto something there. While I wouldn’t trade my husband and kids in for the world, family demands do drastically eat into the time you can commit to creative productivity. I love the idea of female writers imagining spinster alter egos for themselves after one too many Mr Bean husband interruptions. Haha! I do like it, just me and Bella living together. My Middle Child was very fond of Lily Briscoe (and in fact in studying TTL at school was keen on the theory that Lily was in love with Mrs. Ramsay). But trust VW to give us a strong, single, happy woman! I can see her appeal, especially to a girl. There are so few female characters that have strong positive traits yet lack physical beauty, that when you come across the Lily Briscoes (and of course, the Jane Eyres) they really stand out. Realising that there’s an alternative to aspiring to being pretty is a huge relief. I think she is in love with Mrs Ramsey, too. I think they all are! I haven’t read this yet but that photo…well it’s moving up the TBR pile extremely fast. I know, she’s my new style icon. That should get the tongues waggng in the village!